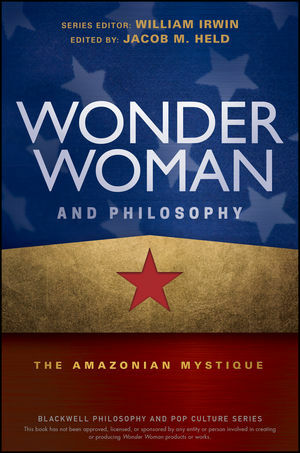 Overall, this collection provides an engaging set of arguments about the meaning of Wonder Woman in a philosophical, feminist and cultural context. Accessible both to academic and general readers, it offers a useful introduction to an array of philosophical theories ranging from Aristotle to Foucault. It also does not presume readers have an existing in-depth knowledge of the DC Universe, instead acting as an introduction to the world of Wonder Woman rather than a ‘mega-fan’ companion. Also noteworthy is that its analysis covers the visual, as well as the discursive. Dennis Knepp’s interpretation of Wonder Woman’s costume as an artistic representation of American triumph over Germany for the “control and freedom” of the ideals of Classical Greek democracy is a particularly compelling historical argument (151-161). And, most importantly, proves one of the overarching themes of the collection: Wonder Woman has, and always will be, much more than just a superhero. Read the rest of the review at the Australian Women’s History Network.